Vitória Guimarães II and Sporting Covilhã meet at Estádio Dom Afonso Henriques, in a match for the 21th round of the Segunda Liga. Vitória Guimarães II got an away win by (1‑2), in the last league head‑to‑head, played in 02‑09‑2018. The head‑to‑head history at this stadium, favours the home team, since in the last 4 head‑to‑heads they won 2, tied 1 and lost 1. Accordingly, in the last head‑to‑head played at this stadium, for the Segunda Liga, on 29‑01‑2018, Vitória Guimarães II won by (3‑0). O. Estupiñán (28' ), H. Domingo (55' ) and Rui Gomes (71' ) scored the goals of the match for Vitória Guimarães II. Vitória Guimarães II registers significant differences between home and away results, so the home/away factor is worth special attention. The home team is currently in the 16th position of the league, with 21 points won, after 5 wins, 6 draws and 9 losses. In the penultimate match, they lost in a home match against Mafra, by (1‑2). In the last match, they tied in an away match against Académica, by (1‑1). This is a team that, oddly enough, has had better results in away matches than at home, since in the last 30 matches they register 4 wins, 6 draws and 5 losses in away matches; against 3 wins, 5 draws and 7 losses at their stadium. For the league, Vitória Guimarães II won 9 points out of 30 possible points, after 2 wins, 3 draws and 5 losses in the last 10 home matches. Defensive consistency hasn’t been their best feature, as they have conceded goals in 9 of the last 10 matches, but their offense has scored consistently, as they have scored goals in 7 of the last 10 matches for this competition. In their home matches for this competition there is a tendency for few goals, since 8 of the last 10 matches have ended with Under 2,5 goals. This is a team that has had a hard time trying to score first. They have opened up the score in only 5 of the last 20 matches for the Segunda Liga, they have reached half‑time in front in 4 of those 5 matches and have held on to the lead in 4. In 20 matches for this competition, they have conceded the first goal 14 times and have only turned the score around in 1. The hosts arrive for this round after a 1-1 away draw against Académica, registering the fourth straight game without winning: the team's goal was signed by Aziz Yakubu. 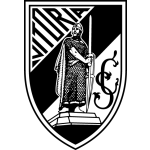 In the last home match Vitoria lost to Mafra by 1-2. The team led by Alex Costa should play in the usual tactical system, the 4-4-2, privileging the more direct game. The two players responsible for targeting the opposing goal are: Yakubu, being the team's best scorer with 5 goals scored and Hélder Ferreira. In the midfield they are likely to play Maga, Al Musrati, a player with a great technical quality, Rosier Loreintz and Mimito Biai. The coach should have all players available for the reception to Sporting da Covilhã. Confirmed Lineup: Daniel Leite, David Sualehe, E. Tapsoba, Romain Correia, Maga, L. Rosier, Mimito Biai, Almoatasembellah Ali Mohamed, T. Phete, Hélder Ferreira, A. Yakubu. The away team is currently in the 12th position of the league, with 23 points won, after 6 wins, 5 draws and 9 losses. 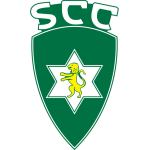 In the penultimate match, they won in a home match against Varzim, by (1‑0). In the last match, they won in a home match against Cova Piedade, by (3‑0). This is a team that usually maintains its competitive level in home and away matches, since in the last 30 matches they register 4 wins, 3 draws and 8 losses in away matches, with 15 goals scored and 23 conceded; against 4 wins, 7 draws and 4 losses at their stadium, with 13 goals scored and 13 conceded. Their last away match for this competition ended in a draw by (1‑1) against Academico Viseu. In the last 10 away league matches Sporting Covilhã has a record of 2 wins, 1 draw and 7 losses, so they have won 7 points out of 30 possible. Defensive consistency hasn’t been their best feature, as they have conceded goals in 7 of the last 10 matches, but their offense has scored consistently, as they have scored goals in 7 of the last 10 matches for this competition. In their away mathes there is a tendency for goals, since 7 of the last 10 matches for this competition have ended with Over 2,5 goals. In 20 matches for this competition, they have conceded the first goal 9 times and have never been able to turn the score around. In the last 10 away matches for this competition there are 3 periods that stand out: they have scored 4 of their 11 goals between minutes (46'‑60'); they have conceded 7 of their 20 goals between minutes (0'‑15') and 7 of their 20 goals between (76'‑90'). SC Covilhã come to this clash motivated after a 3-0 home win over Cova da Piedade: Gilberto opened the scoring at fifty-two minutes, shortly after Kukula increased the advantage for the Serranos, Adriano scored the last goal of the match. With this result the team from Covilhã registered the fourth consecutive game without losing and left the relegation zone in Ledman LigaPro. The visitors are expected to line up in a 4-3-3, where they benefit from the most supported game. The three players in charge of launching the panic in the opposing defense are: Adriano Castanheira, Diego Medeiros and Kukula. The first man quoted along with his team-mate Deivison are the team's goal-scoring references with 5 goals scored. In the central zone of the field should play Guilhermo Rodrigues, Sergio Semedo, in place of the suspended Gilberto and finally, Mica. Coach Filó should have all players available for this match with Vitória de Guimarães B, except for the player mentioned previously. Confirmed Lineup: Vitor São Bento, Henrique Gomes , Jaime, Tiago Moreira, Rafael Vieira, Miranda, Sérgio Semedo, Mica Silva, Diego Luiz , Kukula, Adriano Castanheira. The most likely scenario is for us to have some goals in the game. Vitória de Guimarães B to play at home and needing to score to escape the relegation zone in the championship, are expected to enter the field with a more offensive identity, however, derived from the defensive weaknesses that have shown in the last games, it is expected that through the most direct game Sporting da Covilhã can also score. So by analyzing these factors, the Over 1.5 seems to be a valuable option.